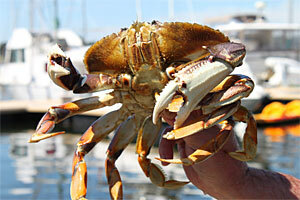 All the crabs caught in the Pacific Northwest commercial harvest are caught using trap and bait. 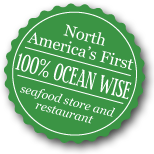 The difference down here at the fish store is that our crabs are not driven to a storage facility in a refrigerated truck before being delivered to us. 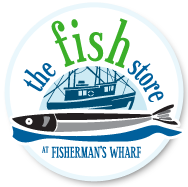 The boat that just pulled them from the sea ties up in front of us and Dwayne Strong, another member of the founding family, brings them across the 12 feet of dock and into our store. We keep these tasty morsels alive until they are ordered and you can take them home alive or killed and cleaned, or we can save you all the bother and we can cook them here for you. Our crabs are available live all year long, weather permitting.